When you choose to buy one of the luxury brands from Europe, you expect high performance. Whether you’ve purchased a BMW, Mercedes Benz, Audi, Porsche, or any other European make, you have equipped yourself with a powerful car that is road-tested and has a vaunted reputation for a reason. As fun as driving these cars can be, it is essential that the maintenance and servicing of these cars are also of top quality. It stands to reason that if every detail of your car has been expertly designed, there’s no reason the maintenance, servicing, and repair should be anything less. At Placentia Super Service in Placentia, we have years of experience helping our customers get their European cars maintained and serviced in a reliable, professional manner. Our European auto repair is second to none and we have the tools and technique to ensure that all of the routine checkups and maintenance requirements are met. We can easily handle complex and technically challenging repair jobs. We know how important it is to get the most out of your luxurious European vehicle. At Placentia Super Service, we take immense pride in our work and are proud to serve not only Placentia but, Fullerton, Anaheim, and Yorba Linda as well. Our expert team of mechanics and technicians are ready to assist with your European auto care today in North Orange County. Placentia Super Service auto repair offers a wide range of services for your car including automotive maintenance, servicing, and repair. Some repair services include brake repair and servicing, transmission repair, radiator and cooling system repair. Our maintenance packages include but is not limited to tires, preventative fluid changes, oil changes, tune-ups, and smog checks. We service all brands with original equipment manufacturer (OEM) parts because we know that a professional service and repair starts with the best parts. With every service, a full digital picture inspection is included. 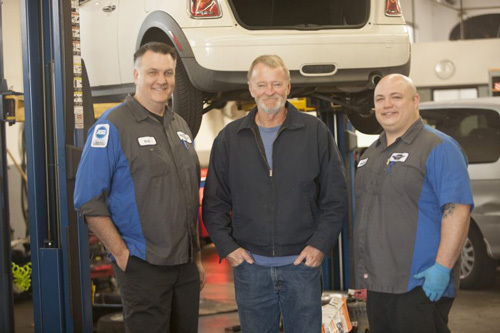 Our technician AJ is an ASE Certified Master Technician and Bob is an ASE certified as a service writer who each have over 20 years worth of experience working on foreign cars. While much has changed in-car technology over the years, our entire team has stayed up to date to ensure that our servicing and repair techniques are doing the job right, the first time. For more information on which foreign makes and models we service, contact us today. 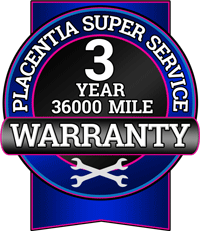 At Placentia Super Service, we put a premium on detailed oriented work and high-level customer service. We consider ourselves experts in European and foreign cars – each manufacturer has different components and standards to ensure a luxurious experience that is unique. Placentia Super Service makes sure that all of our mechanics and technicians stay up to date on all of the technological improvements from each European luxury brand. We know the considerable investment you’ve made in your European car – we do everything in our power to provide top-tier maintenance and repair services so you can get back on the road and enjoy your ride. For top-level European car service, contact Placentia Super Service in Placentia today by calling us.